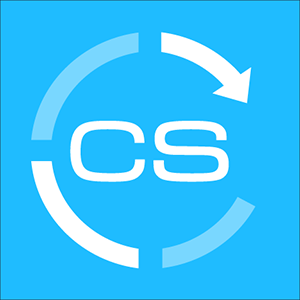 ClientSuccess offers real-time and daily digest alerts based on client health and activity to help drive proactivity. Have the alert you want to receive enabled in your individual user alert preferences. Have "Send emails about time-sensitive alerts as they occur" enabled. Have "Send daily digest email of client health and activity enabled. Be set as their manager. Have the role of manager. In most situations, you will not receive an alert for a condition that you trigger yourself. Default alert settings can be customized for your entire organization, as new users are added. Individual users can also customize alert preferences. A client's pulse hasn't changed in  days. A client's SuccessScore drops below . A client's SuccessScore is below  for  consecutive days. A to-do is due in  days. A to-do was due yesterday. A client hasn’t engaged with you in the past  days. A client hasn't been emailed in the past  days. A client hasn't been called in the past  days. A client hasn't been met with in person in the past  days. A client hasn't done "[Event]" for  consecutive days. A client does "[Event]" more than  times within  days. A client doesn't have a subscription after  days. A client subscription is  days from renewal. A client subscription lapsed yesterday. A client renewed their subscription. A client terminated their subscription. A client is missing an executive sponsor. A stage is due in  days. A stage was due yesterday. An activity is due in  days. An activity was due yesterday. A task is due in  days. A task was due yesterday. A client is not assigned. A new client is assigned. An existing client is assigned. A client is terminated, deleted, or inactivated. A client's pulse is set to [High risk] or below. A stage is given a due date. A stage's due date is changed. A stage's due date is removed. An activity is given a due date. An activity's due date is changed. An activity's due date is removed. A task is given a due date. A task's due date is changed. A task's due date is removed. A to-do is given a due date. A to-do's due date is changed. A to-do's due date is removed. A new Potential Subscription is available.